Queen's Market in East London is a unique place. It seems unimaginable that 10 years ago this vital resource could have been threatened by Newham Council and rapacious companies. 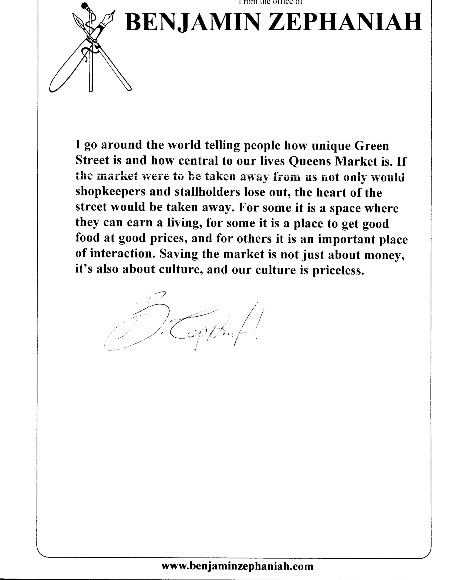 In response to this attack on our community's street market, shoppers, residents and traders formed the Friends of Queen's Market (FoQM) who defeated the developers and continue to protect and promote the market to this day. FoQM is a non-profit, grassroots community-based organisation which has been in existence for over 10 years. We continue to meet regularly to discuss the threats and improvements to Queen's Market. We are always looking for new ideas to highlight our plight and welcome you to join us. Queen's Market is prospering: new stalls, more shoppers and special events have helped to bring in new customers whilst also raising awareness of the continual need to safeguard our community's vital resource. Shoppers have reminded us of the need to SAVE QUEEN'S MARKET from any form of threats, given these hard economic times. 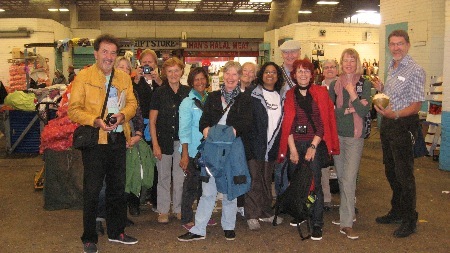 Queen's Market - a place celebrated for its inclusiveness and the vital role it plays in bringing communities together. Despite spending a whopping £1m on recent roof repairs, traders and shopkeepers have continued to complain about Newham Council's lack of transparency in regards to how this large amount of money was spent. 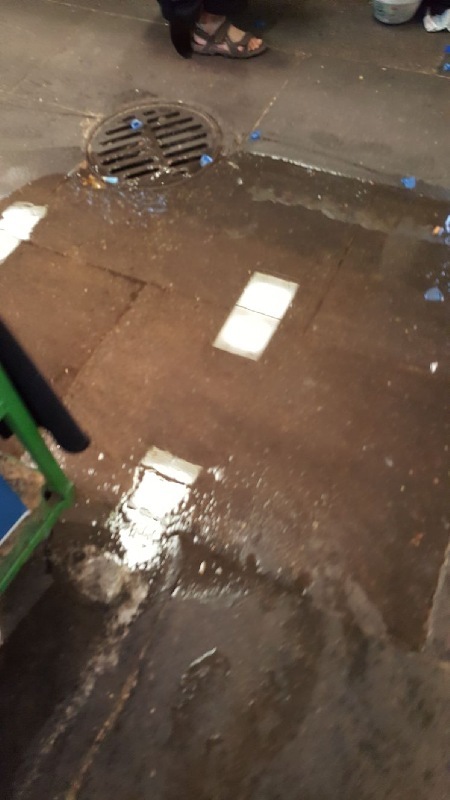 Unfortunately we have continued to see water streaming inside the market from drains leading from the roof. Council officers have assured Friends of Queen's Market that repairs will be signed off by them, but so far the works look less than satisfactory. 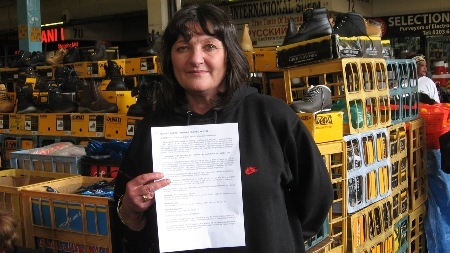 One shopper, Halima Begum says: "I feel as though it's deliberate neglect by the Council. I come shopping from south London and it's like as if the Council can't be bothered to take care of it. Who knows what the market management do all day sitting in that office?" Friends of Queen's Market are asking for accountability and transparency in regards to market investment and proper checks following the completion of works. Friends of Queen's Market held a celebration stall at Queen's Market in celebration of diversity and unity. FoQM community volunteers gave away free Palestinian mejdool dates, almond sugars and heart-shaped sweets. Leaflets explaining Eid had been translated in Polish and Roma languages. The public event was supported by the local Muslim community. Friends of Queen's Market's Coordinator Saif says: "it's great to see that the whole community are united behind one another during these testing times and Queen's Market remains the place in Newham where all communities come to shop for their community and family occasions"
Market management want to make all traders' assistants wear name badges. Nobody else, just traders' assistants and then MAKE THEM PAY FOR IT – every six months… ker-ching! Another nice little earner for the Council! But worse than that, people are being told that it’s THE LAW as per the Border Agency- IT IS NOT THE LAW. Right now traders assistants have to give in names and I.D at the office and keep market-issued identification cards with them at all times. To date there have never been any arrests of undocumented trader assistants for immigration law breaches or of traders for employing them. Looks like the Council is beefing up the reign of terror on our traders who suffer enough – spied on by security cameras, fined if they trade one minute after 6pm, threatened if stalls are over the line: the market management would be embarrassed to be singled out to wear badges and indeed at risk of identity theft, stalking, hacking and cyber-bullying. FRIENDS OF QUEEN’S MARKET SAY: “THIS IS WRONG, even if some other markets are doing it. As far as we can see it is against the Equality Act which says you can't pick on particular groups (or as the lawyers call them groups with 'protected characteristics'). And what about our traders’ assistants’ human rights? 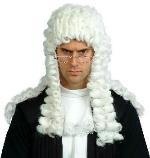 We are consulting our solicitor on this matter”. Don't close the public toilets at Queen's Market! Campaigners chanted “Don’t lose the loos” while petitioning against the possible closure of public toilets. Saturday’s action in Green Street by the Friends of Queen’s Market saw more than 100 people sign a petition calling on Newham Council to think again about a proposal to close the loos near the Hamara Ghar building. Newham Council has carried out a public consultation on proposals to shut five public toilets in the borough - including the Hamara Ghar loos - with a plan for shops, businesses and public buildings to open their loo doors to passersby instead. But campaigners claim there were 50,000 visits to the Queen’s Market public conveniences last year justifying their demands for the lavatories to remain open. In response, a council spokeswoman confirmed the petition had been received and would be considered along with feedback gained through the consultation which ended on March 27. 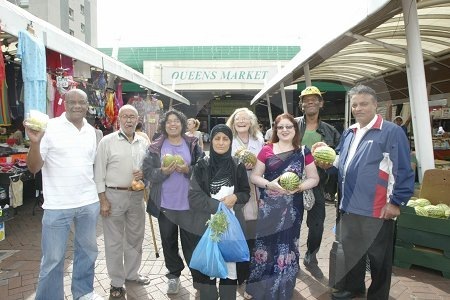 After four years, Newham council bans Friends of Queen's Market from meetings about the Market's management and future. What are they afraid of? What are they hiding? 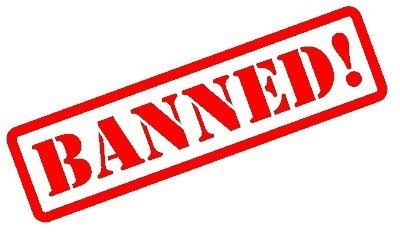 On Friday 23rd September Market Manager, Philip Knight said that only traders and council officers would be allowed. FoQM's Secretary Pauline Rowe says: "Friends of Queen's Market have been accepted as a valid community body directly connected with the market and on that basis our nomination of Queen's Market as an Asset of Community Value was admitted and eventually approved. But in any case all of the market's shopping public are stakeholders in the market and on that basis alone I would expect Friends of Queen's Market to have a right to attend meetings concerned with the progress of the market. I should add that we have been attending the trader-management meetings since April 2012 when they began. What other forum is there for raising issues which concern us all - to give one example out of many, the roof leakages into the market?" Newham council are yet to give a valid reason why. WRITE TO Jarlath.Griffin@newham.gov.uk to find out why they have made this decision. TRADERS IN LIMBO: WHAT'S GOING ON? Trader Rahim Rahmani (right) waits in front of the stall which he rents from Newham Council. Behind it is a ‘kiosk’ of some fourteen square metres which contains a small washroom and is also used for trading and storage. Newham Council gave him a lease with no legal protection so now it has ended he has to ‘bid’ for his kiosk. He bid the minimum £9500 required but has been told that he still may not get the kiosk. Friends of Queen's Market are concerned. ‘They say that the amount of money offered and the suitability of the business are primary considerations. We are pressing to find out what the other Council criteria are: do they take into account whether a business is successful ? or do they just want to squeeze maximum rent out of traders come what may?‘ asks Chair Sasha Laurel. A spokesperson for the Green Street Business Association says, ‘The traders have a right to be sure that the bidding process is transparent and squeaky clean. We ask Council property supremo Mark Butler, where’s the accountability?’ And while they wait for answers to their questions the future of Mr Rahim, his staff and family hangs in the balance. His colleague Mr Raffiq (left) who rents another kiosk is similarly in limbo – and waiting. SHOCK NEWS - TRADERS ARE BEING EVICTED ! 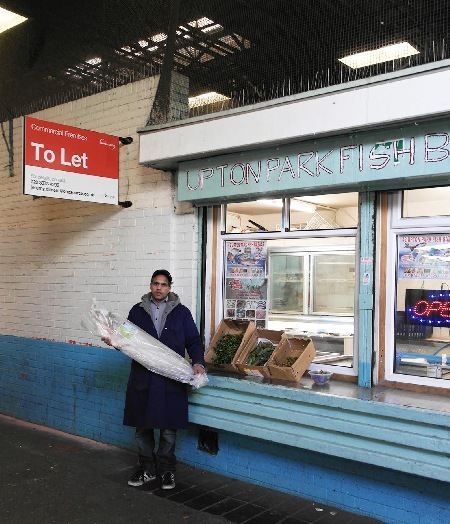 Three days after Queen's Market trader Ashraf Ullah was EVICTED because he had not upped his rent offer to Newham council to the £9,500 demanded, traders in the same boat have been given only TWO days to up their offers, in a circular received 30 July. Terrified long standing traders have bid £9, 500 for tiny kiosks, told their ‘bids’ may still not succeed. IS THIS JUSTICE? Photo: 'To Let' signs appeared at Queen's Market (from March 2016) from another dubious Newham council front called One Source. Long time trader Mr Kalam from Upton Park Fish Bazar is being harassed for 50% rent increases for a tiny kiosk at Queen's Market. "There have been no improvements to the kiosk in 5 years. Why am I expected to pay so much extra? This is unfair" says Mr Kalam. DO THEY REALLY CARE ABOUT US? Shoppers stopped and stared as umbrella- waving protesters unveiled banners in Queen's Market, Upton Park. 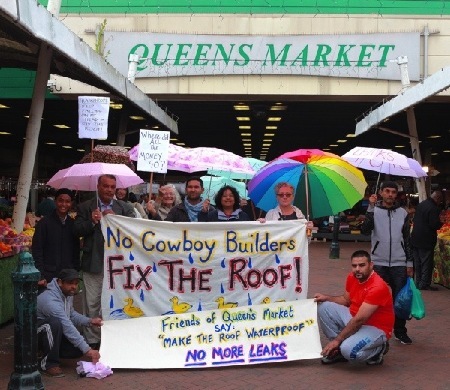 Chanting 'Make the roof - waterproof' they demanded immediate repairs to the Queen's Market roof. Repairs to the roof are scheduled but with no start date. Meanwhile traders complain of damaging leaks in rainy weather. In some cases stock has been destroyed as a result. Last month thirty shopkeepers sent a joint letter of complaint about water leaking through the roof into their shops. The Property Department of Newham Council has still not replied to their letter. That means: THE COUNCIL HAS TO TELL US IF THEY PLAN TO SELL THE MARKET TO DEVELOPERS and THE COMMUNITY GETS ITS CHANCE TO BUY IT - not easy but not impossible. The Council took nearly TWO years to make a decision that by law they should have made in eight weeks. 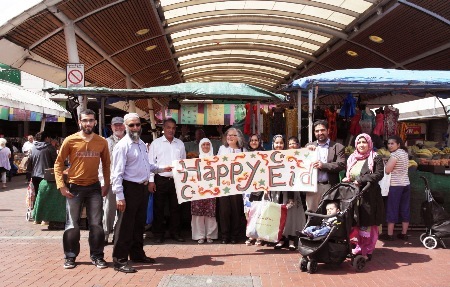 It took over fifty emails, interventions from the Greater London Assembly and Local Government Ombudsman, threats of legal action… but in the end it was possible because of the effort of Campaigners and the Traders and Shopper’s support! 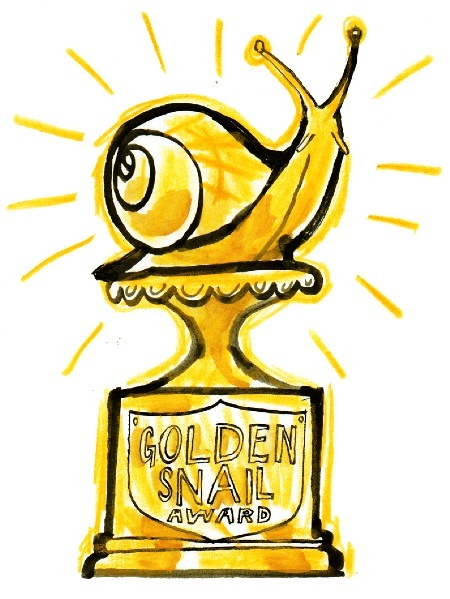 A Golden Snail Award is on its way to Newham Council's Legal Department to mark a nineteen-month wait for a decision that is still outstanding. Friends of Queen's Market nominated the Green Street market as an Asset of Community Value nineteen months ago. Once a place is listed as an Asset of Community Value a council must let the community know if they plan to sell it, and the community group is given an option to buy it. The Friends claim that listing the historic Queen's Market as an asset will also give it proper recognition. Shopper Daulat Ram Chadda asks 'Why won't the Council recognise the market's community value? It is clearly valuable to the community: the cheap fruit and veg are a lifeline to many low income families'. In Upton Park, Friends of Queen's Market were asked what they wanted to see on the Boleyn Grounds (West Ham Football site, when West Ham move out) and we believe there is a pressing need for more social housing for rent for local people. 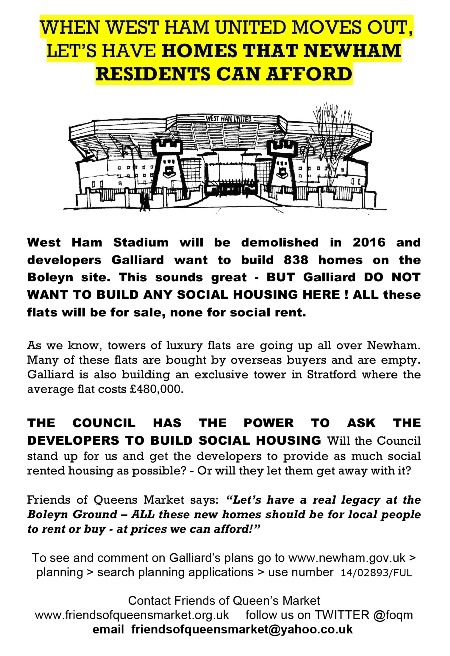 If greedy developers like Galliard can build 100% private housing in Stratford, then 100% SOCIAL HOUSING is also possible on the Boleyn Grounds in Upton Park. The new plans for the West Ham Football pitch site is offering housing which is totally unaffordable to most people in Newham. Why are people silent on this kind of apartheid in the UK? Galliard, the developers who openly celebrate "no social housing" on one of their latest schemes have submitted plans for the historic West Ham football pitch site/ Boleyn grounds. Their latest plans include just 6% social housing whereas the local need is 65%. Make your voice heard on the issue in favour of a fairer development, inclusive of local people. 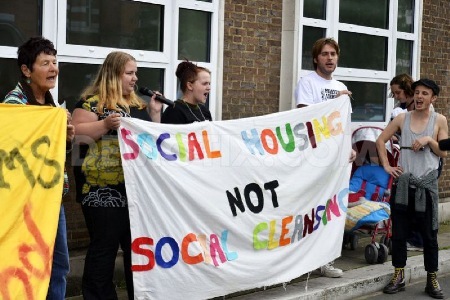 Newham Council wanted to GET RID OF these homeless young mums by re-housing them outside London for the same reasons that they wanted RID of our market: social cleansing to make Newham a shiny magnet for wealthy people who do all their shopping at Westfield and see the rest of us as riff-raff. Their fight goes on and has included the heroic occupation of the scandalously empty Council properties on the Carpenters Estate. Well done mothers, you are an inspiration to us all. See Focus E15 Facebook for up to date info. The Council continues to charge extortionate parking fees to shoppers at the market with none of the concessions or free parking offered to shoppers in other areas of Newham. Friends of Queen's Market has worked with traders to produce a parking proposal which will go to the directly elected Mayor Robin Wales. On the evening of Bank Holiday Monday an audience of around two hundred watched Tom & Jerry cartoons and then one of the great Bollywood films - in Queen's Market! They sat on silver cushions drank tea and munched on popcorn. Silver pennants flying, Aamir Khan on the screen, the market was transformed into a magical place. The show and refreshments (all free) were provided by the Green Street Community Forum who showed for all to see that the market is a valuable space which the community can use on non-market days. Friends of Queen’s Market have been busy ensuring the council doesn’t ‘sell off all the silver’ in the borough by making sure Queen’s Market is RECOGNISED AS AN ASSET OF COMMUNITY VALUE. What does it all mean? It’s in the Localism Act passed by Government that states, if a place “is currently being used, or was used in the last five years for activities which improve the social wellbeing and interests of the local community” then it can be nominated. We believe Queen’s is clearly of value and much more, so we filled in the forms and sent them off. Just awaiting a reply from Newham Council. Let’s hope the council see sense and want to also safeguard our market. Our occasional art stalls are getting famous. At Easter time in spite of the dodgy weather young artists eagerly coloured in the 'easter bunny' with his football scarf - and munched their free Easter eggs. 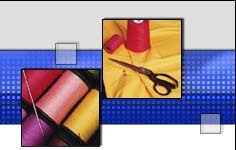 We'd welcome suggestions for Eid and Diwali activities! Saving the Queen's, a pop-up exhibition was a collaborative effort by Eastside Community Heritage and Friends of Queen's Market. 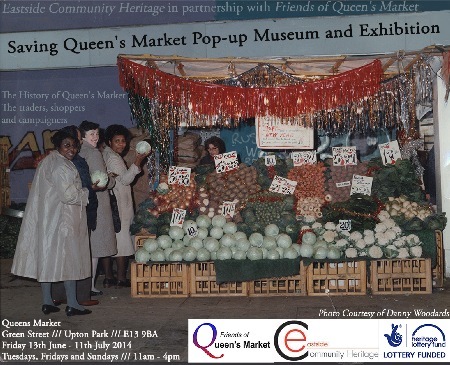 The pop-up exhibition included photographs and oral histories from the early days of the market up until the recent campaign to save Queen's Market. The summer of 2013 saw two cultural celebrations of Queen's Market. 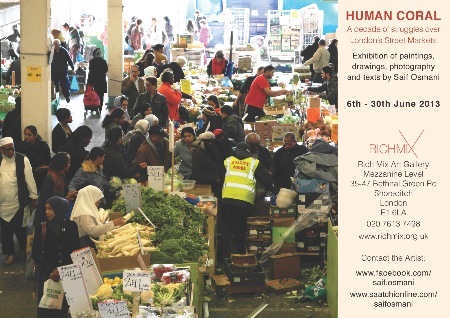 Human Coral, an art exhibition featuring Queen's Market , was shown at the Rich Mix Arts Centre in Bethnal Green throughout the month of June. Queen's Market and the fight to save it featured in the film 'We aint stupid.' shown in July as part of the East End Festival. The art was the work of Newham's young artist Saif Osmani: young East London film director Mitch Panayis made his documentary feature debut with the film. Both exhibition and film were well attended and praised by reviewers. If you missed either watch this space: you may get a second chance later in the year! THE MARKET'S FUTURE Newham Council's Core Strategy (their plans for what they want to see built in Newham over the next 10 year) was passed in 2012. It allows the Council to 'develop' the market when they feel ready. You can read more about the Core Strategy on the 'History of the Campaign' page. We are convinced that your continuing support for the market is keeping the Council at bay. We are proud to be the community campaign that PROMOTES and PROTECTS the market. The creative genius of Newham's children manifested in these amazingly coloured celebration flags, being appreciated by 'her Majesty'. 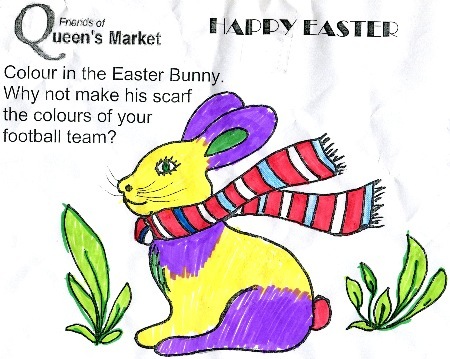 Children were invited to colour-in the Queen's Market Celebration Flag! ARE YOU THINKING ABOUT SETTING UP A STALL AT QUEEN'S MARKET? There has been an increase of stall takers at the market which is really good news! 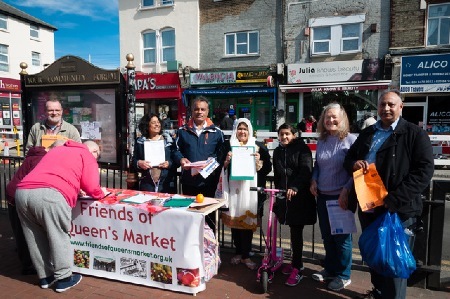 If you are thinking of setting up a stall at Queen’s Market please contact the Council directly (see link below) or call them on 020 8475 8971. It seems like a lot has happened since Asda retreated in 2006, the planning application rejection in 2009 and finally St. Modwen, the developers bolting in 2010. This is all good news for the community and for the future of the 111 year old market that we have all come to love and depend on for fresh fruit and vegetables, amongst other supplies. Remember, QUEEN’S MARKET BELONGS TO YOU! The market is now under the control of Newham Council and its elected people. However, the local planning Core Strategy has a few worrying proposals. Friends of Queen’s Market are here to make sure that the market stays here for the people of Newham and shoppers everywhere. Sadly, not all’s rosy as the car park charges have more than doubled. The car drivers who visit the market are not wealthy people and the charges are hitting them as well as the market traders. Friends of Queen’s Market believe this increase is UNFAIR and DISPROPORTIONATE and request the old charges be reinstated. See the picture of our demo further below. Also, the roof is still giving everyone grief. £150,000 of taxpayer’s money paid over, with a 20 year guarantee, but the water is still coming in! Friends of Queen's Market protest against the doubling of car park charges. For ages people have been asking for a car boot sale in Green Street and it’s finally come - your old lumber is someone else’s bargain! Stalls are cheap and some are still available. There is also plenty of new gear and even cakes on sale – oh yes, and don’t forget to tell all your mates about it. We’ve also heard that there are now 30% more traders than there were two years ago. This is brilliant news! Under the new, much improved market management, Queen’s Market has received an AWARD for being the greenest market in South England and there’s a nice glass trophy on display in the Inspectors’ office. Go and have a look for yourself! 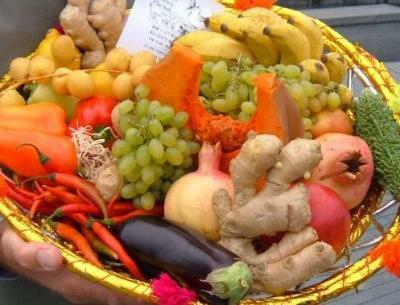 Friends of Queen’s Market congratulates the traders, especially the fruit and vegetable stallholders- saving the planet whilst saving money for the market – nice one! Congratulations on the latest award from the Local Government Chronicle. Thanks to the traders' hard work Queen's Market came 2nd out of 82 contestants for the Zero Waste Award. Well done! Calling all shop owners and kiosk holders! 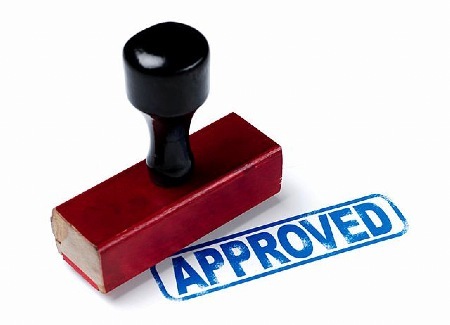 If your business rateable value is less than £12,000 per year you can get SMALL BUSNESS RATES RELIEF. For more info, contact us. How to get there: Turn right from Upton Park Station, the market is next door. Car parking: whilst short-stay parking is available on Green Street, we advise you to park at Shaftesbury Road car park, or Queen's Road car park. In his report Inspector Geoffrey Salter commented that the Queen’s Market building was quite sound (though unattractive!) and ‘far from irreparable’. He acknowledged the local fears aroused by the Council’s last scheme to redevelop the market but noted that it had been discarded. Describing the market as ‘vibrant and vital’ he said that in the light of Council promises to retain the market ‘a scheme for redevelopment or possibly refurbishment would be acceptable’. 1. To protect and promote a community asset on behalf of the people. 2. To keep the market in the public/not-for-profit sector with community controlled development and management. Get your money's worth........ compare the prices! We did a price comparison by purchasing the same fruit and veg at a local supermarket on the local high street (Green Street in Upton Park). It puts a new twist on the catchphrase "every little helps". Successive governments have dabbled in social engineering with varying degrees of success. These attempts to establish racially harmonious communities have invariably proved as futile as an alchemist's attempts to turn bass metal into gold. Yet, in Queen's Market there has evolved a remarkable community that is London's,and in probability Europe's most ethnically diverse. Over the course of the market's one hundred year history successive waves of immigrants have made the East End their home; ranging from Russian Jews escaping the Tsarist pogroms at the beginning of the twentieth century to Zimbabweans fleeing the tyranny of Robert Mugabe in 2009. Rather like a coral reef this multi-layered and multi-faceted community is a fragile form, easily destroyed, yet near impossible to replicate.So why is this market such a magnet to ethnic minority communities from right across London? Its success lies in the fact that its functions are many and varied. As a social space it provides an ideal arena for social interaction. The market is a living information exchange, a place of linguistic comfort, education and of course, gossip. The human dynamic of the market and its environs energies and reinforces cultural identity for people, many of whom feel maginalised and lost in London. With over 85% of the shoppers coming from African, African-Caribbean and Asian communities it is evident that the style of shopping is redolent of that found in the markets of Kumasi, Kingston and Karachi. Any one who is familiar with Russell Market, Bangalore will know exactly why Queen's Market resonates in the way that it does. With its souk-like ambience, access to fresh, culturally appropriate produce and goods at amazing prices ensures that news of the market spreads far beyond the East End. This human reef has some rarer national groups if one is prepared to explore; who would have thought that Burundians, Ecuadorians, Latvians andthe Togolese would be regular denizens of Queen's Market - they too have heard of its fame. 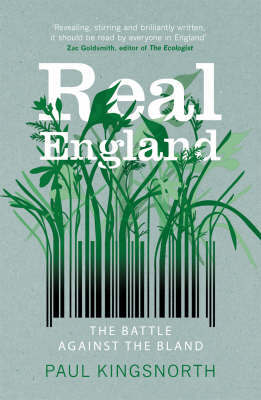 The market has also provided a fertile environment for entrepreneurs to start toput down purposeful roots in the UK. It is encouraging self sufficiency and a degree of financial independence that has helped successive communities to become an essential part of that extraordinary world city that we call London. Queen's Market continues to evolve and absorb the social mores of countless nations. Add to this the piquant Cockney humour and you have the sort of cocktail of peacefully coexisting humanity that social engineers can only dream of. We've been saying for ages that Queen's Market offers cheap, good quality fresh food - so why not go down and bag a bargain for yourself. 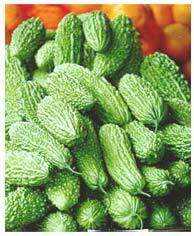 "Queen's thrives because most locals still cook for themselves - the market is essential. To them, it represents nothing short of their identity - the very heart and soul of their community. "- Carolyn Steel, Values to save for Queen's and country, Building Design, 5/12/2008. Be sure to take a look at our food links elsewhere in this website. Even better come and discover why Queen's Market was chosen as one of three finalists for the 'Best Food Market' in the BBC Radio Four Food & Farming Awards 2008. "Queen's Market, Upton Park is a thriving and profitable covered street market. Situated in the East End, it has been in existence for over a century and is at the heart of a vibrant community that draws in people from across London and beyond. 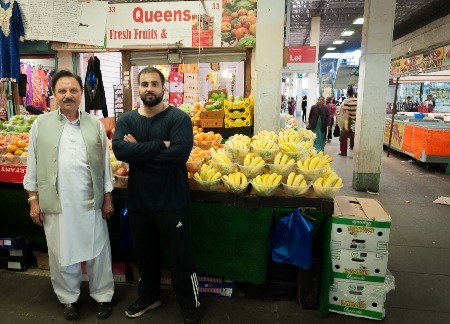 Famed for its affordable and culturally appropriate produce, it is much more than just a market, it is a living information exchange and a communal space. Queen's Market is an important centre of employment and brings in millions of pounds into the local economy. It exudes entrepreneurial spirit, tolerance and good humour. Little wonder that Londoners love it." Friends of Queen's Market celebrate the retreat of the developer (Yellow Advertiser). For details of our heroic campaign please see page 2- Story of our Campaign.